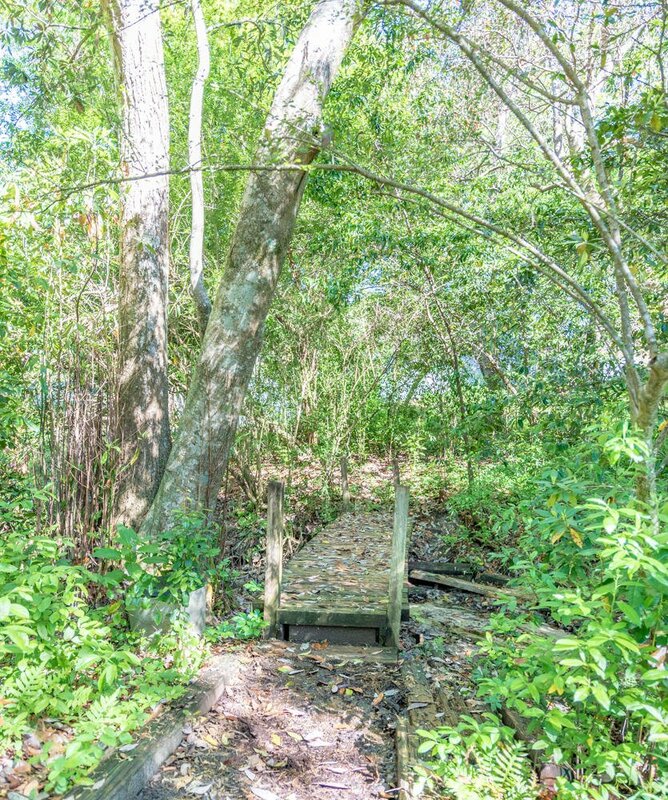 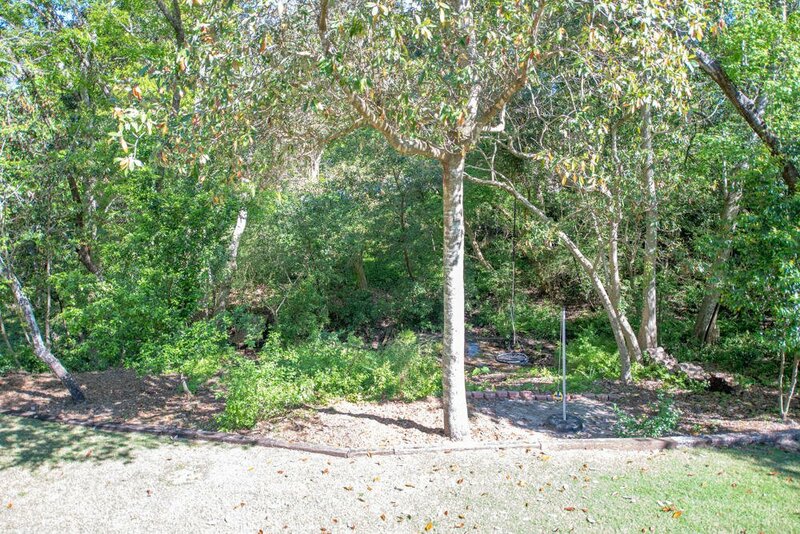 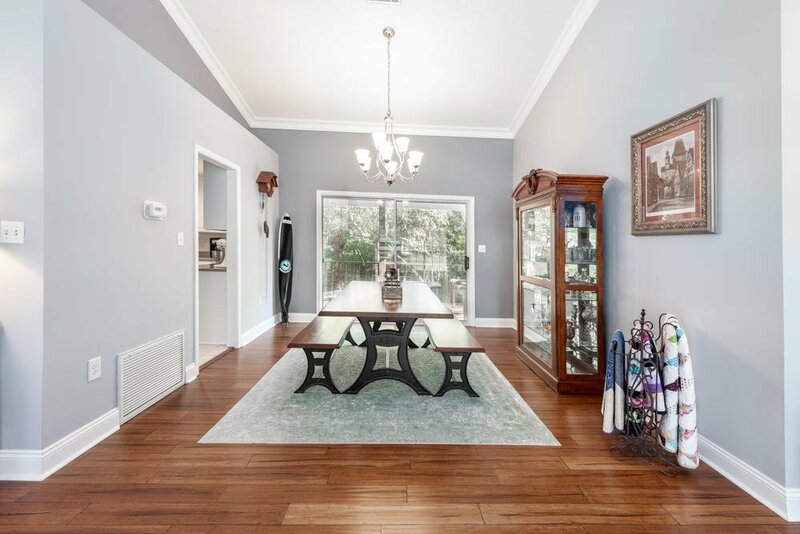 Exceptional 4 bedroom home with 2 living areas, a large & level, private yet enchanted backyard with running stream and bridge. 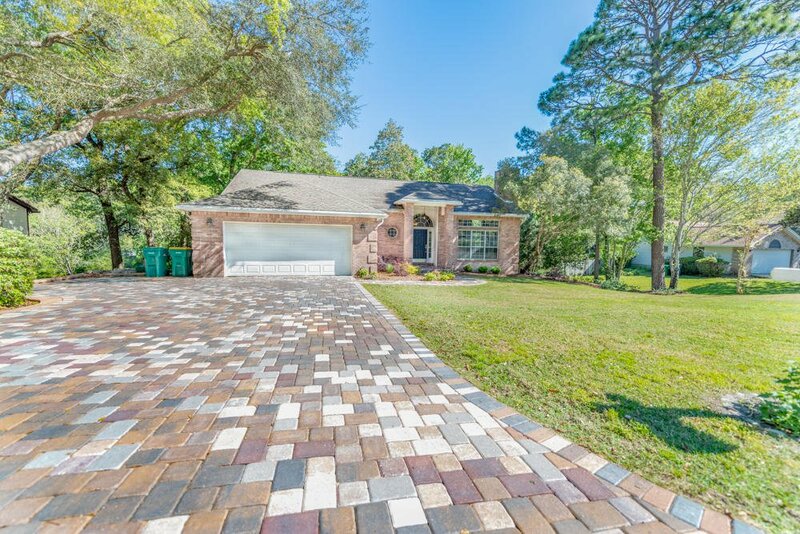 Upgraded landscaping to enhance curb appeal, paver driveway, gutters, and easy to maintain brick and vinyl siding. 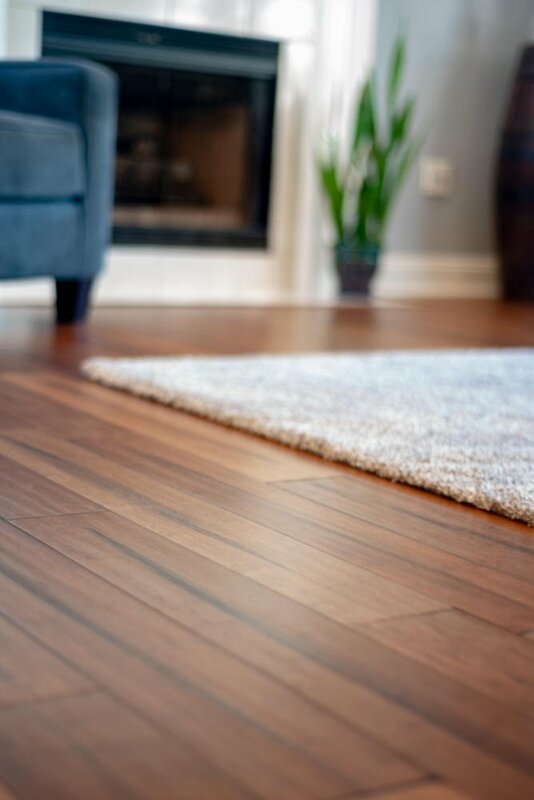 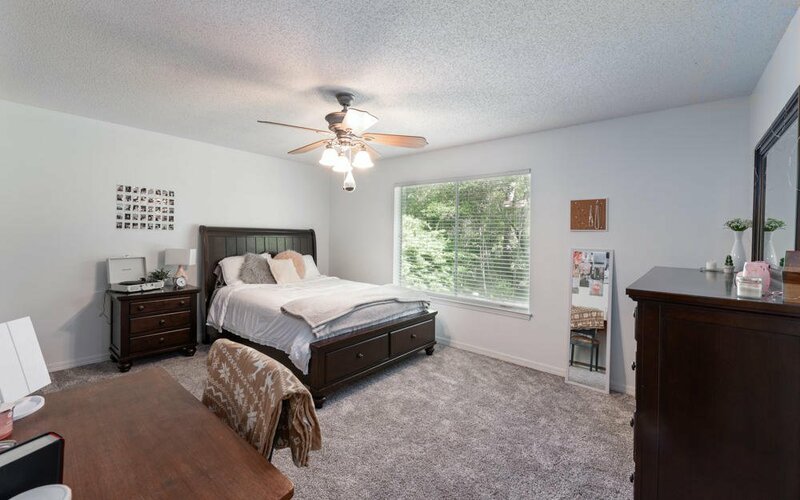 Upon entering the home you are welcomed by the warm bamboo flooring which flows from the foyer all the way through the main living areas and master bedroom. 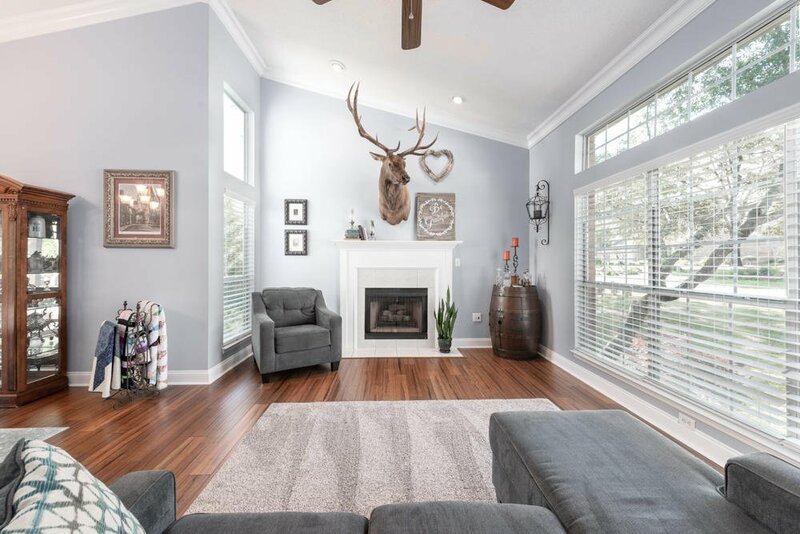 The open living and dining room is graced by vaulted ceilings and neutral paint throughout. 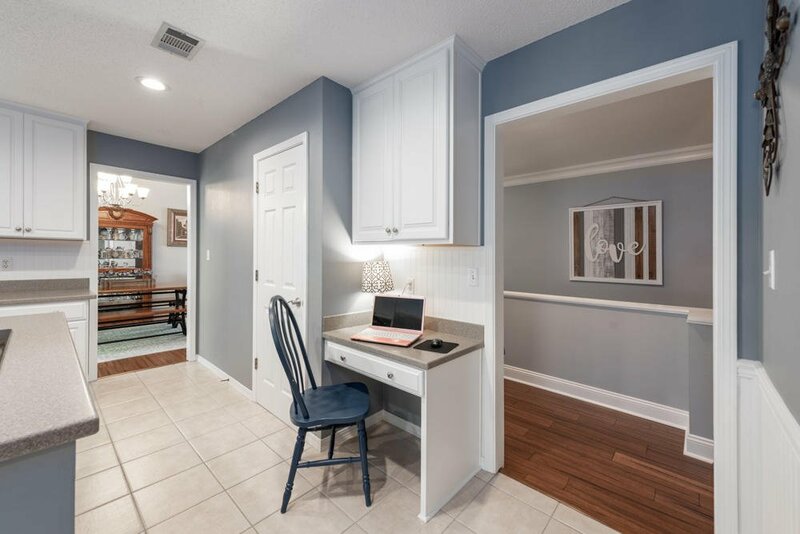 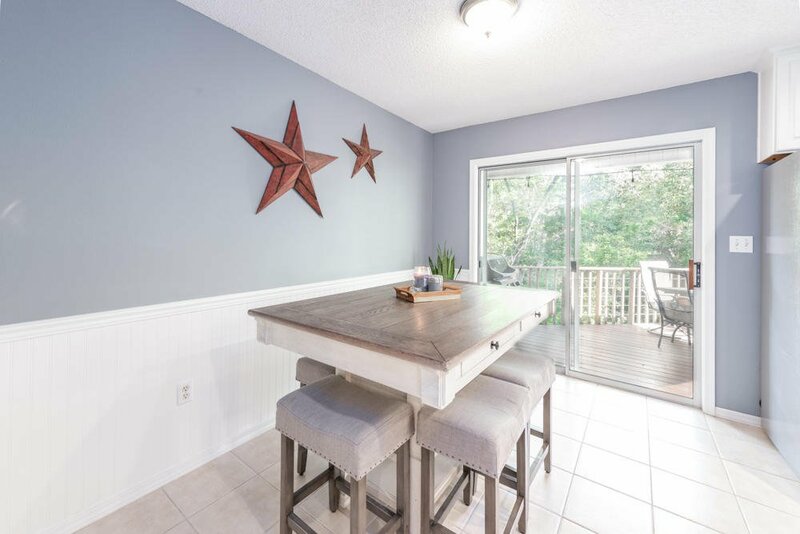 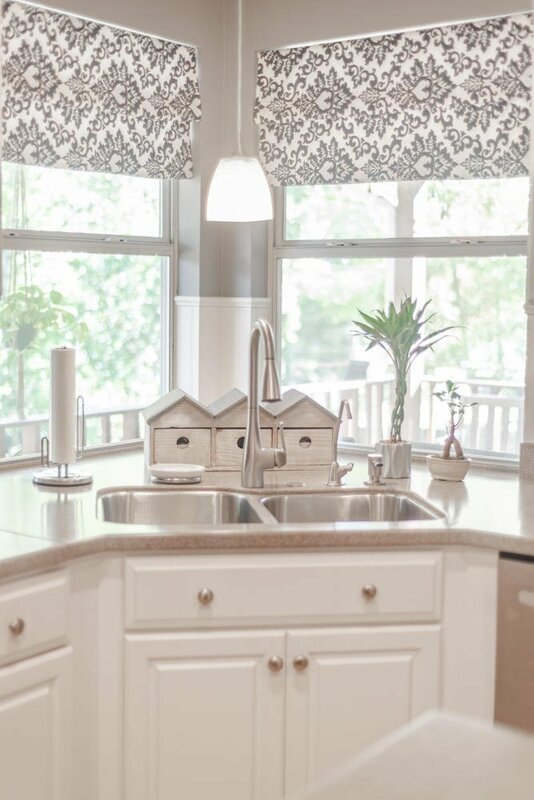 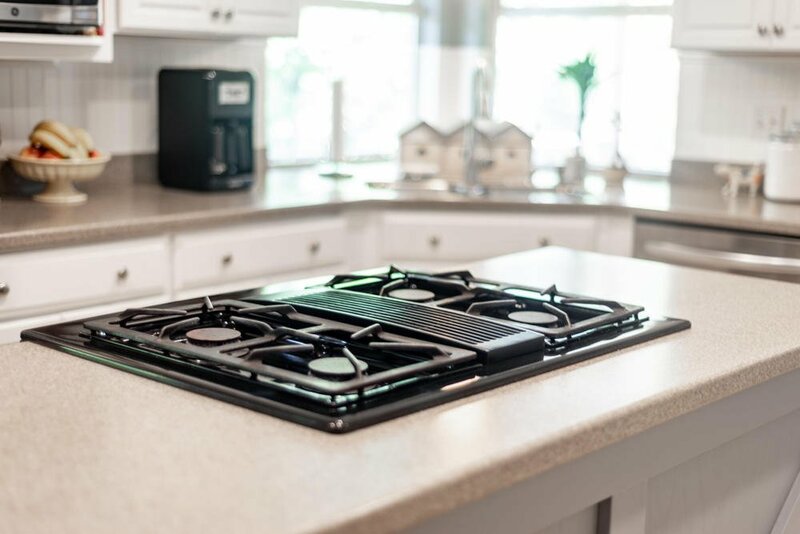 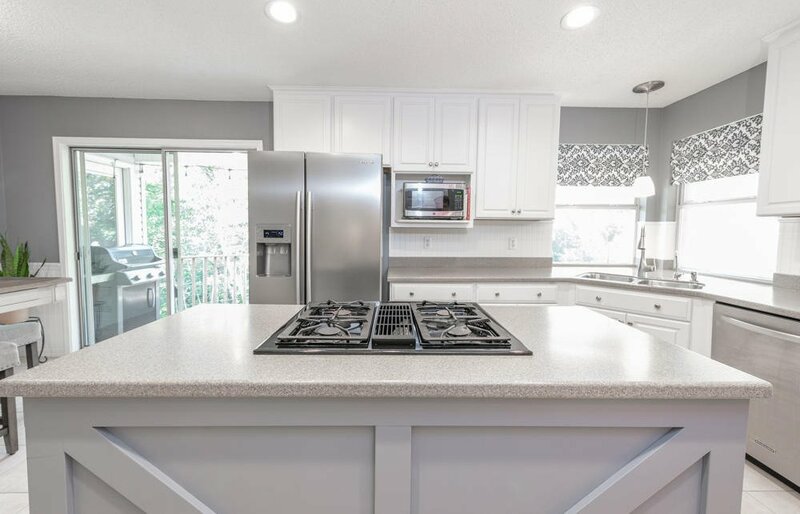 Around the corner is the light and bright updated kitchen with ample counter space, upgraded appliances plenty of storage for all your cooking and entertaining needs. 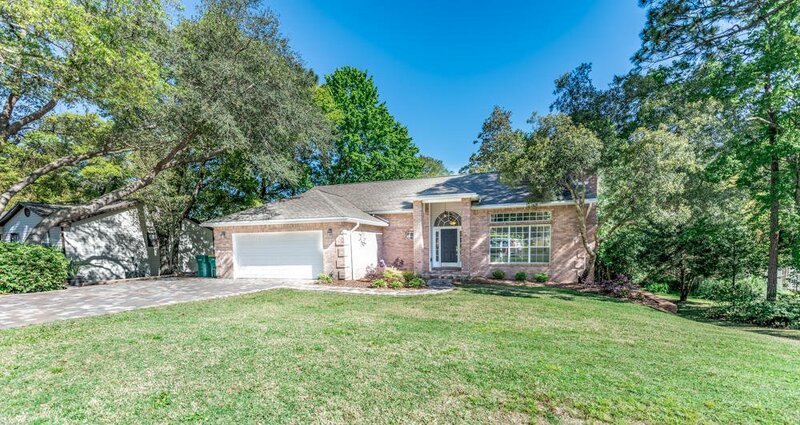 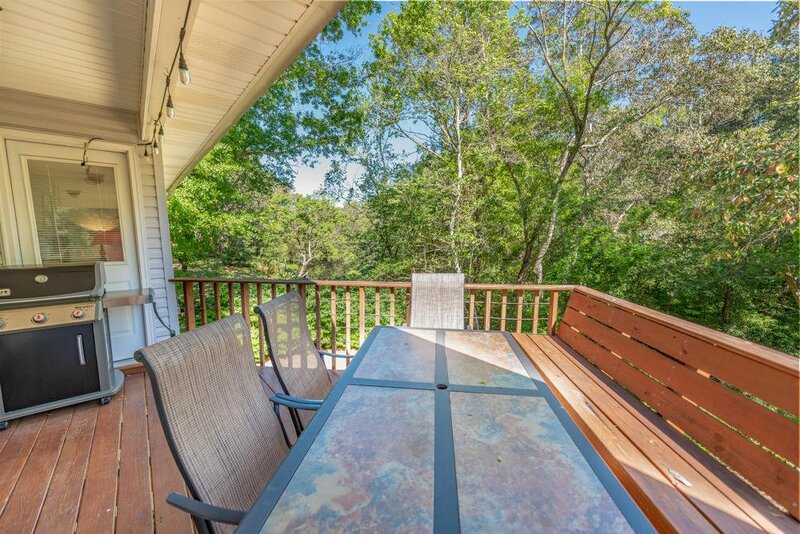 Just steps away from the eat in kitchen you will find a lovely covered porch overlooking the simply gorgeous, private backyard. 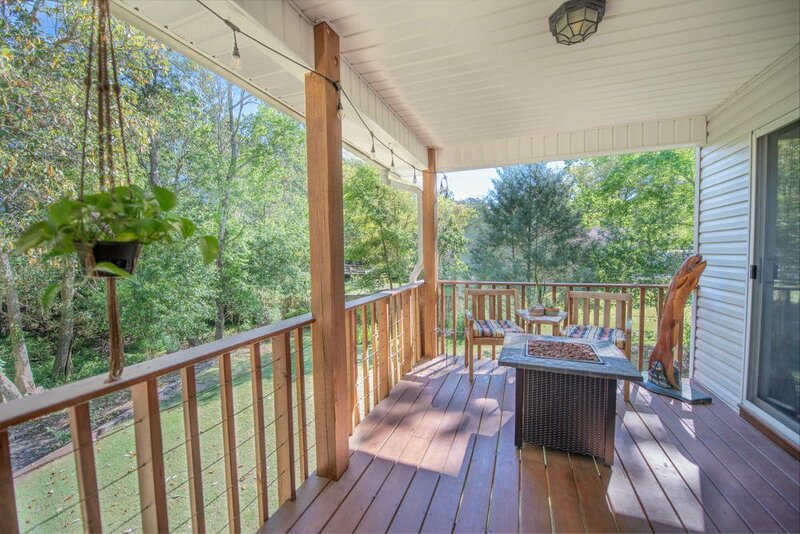 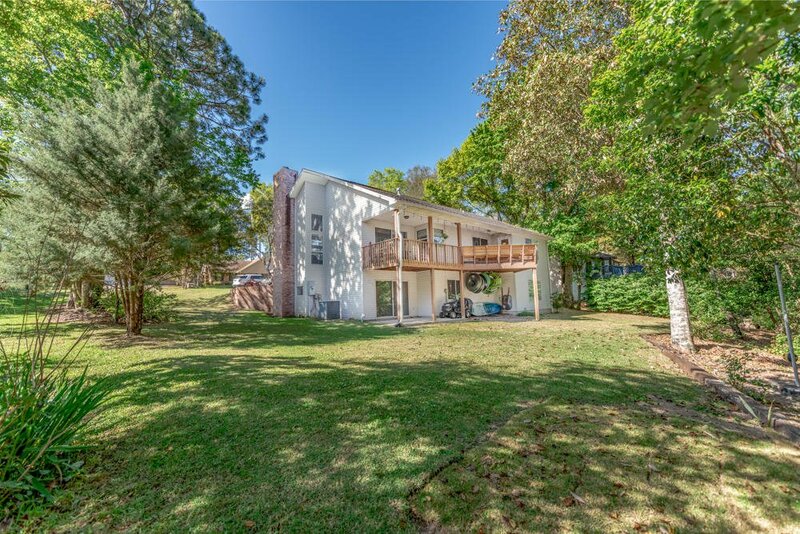 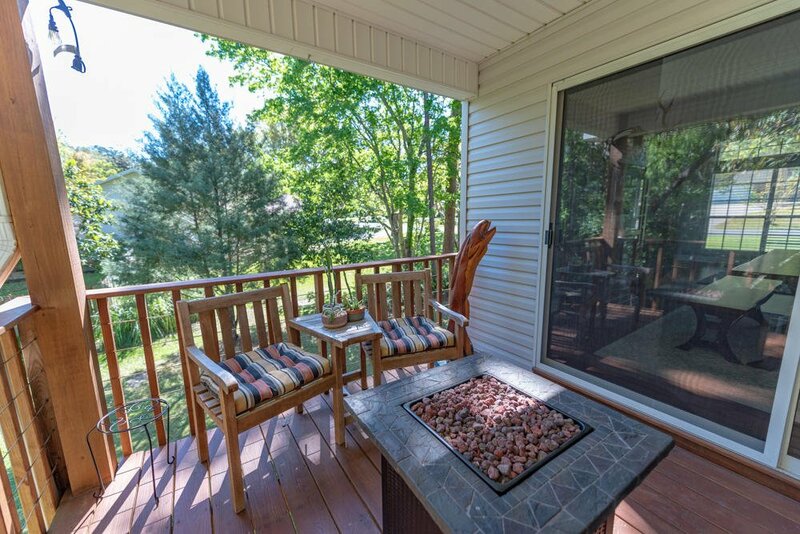 The back deck is great for entertaining and grilling. 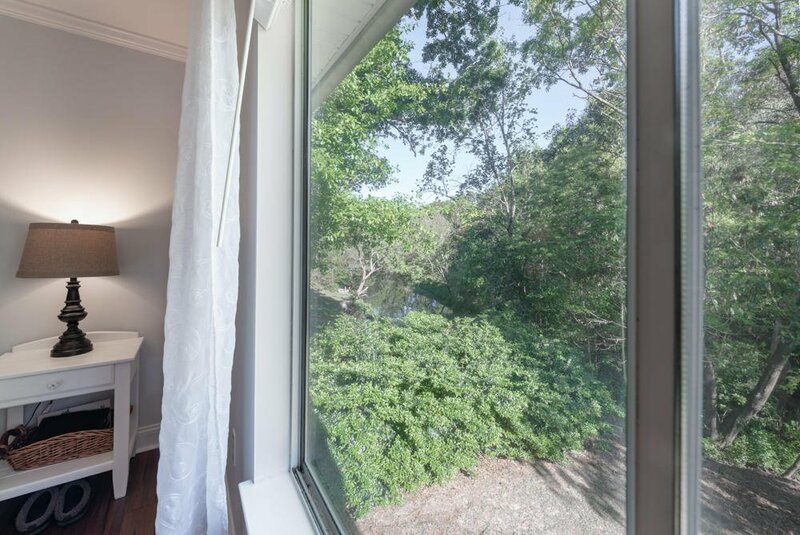 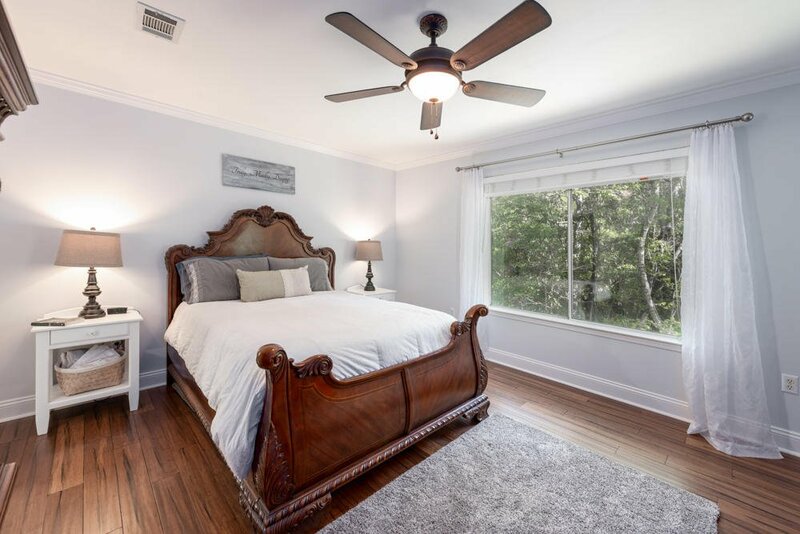 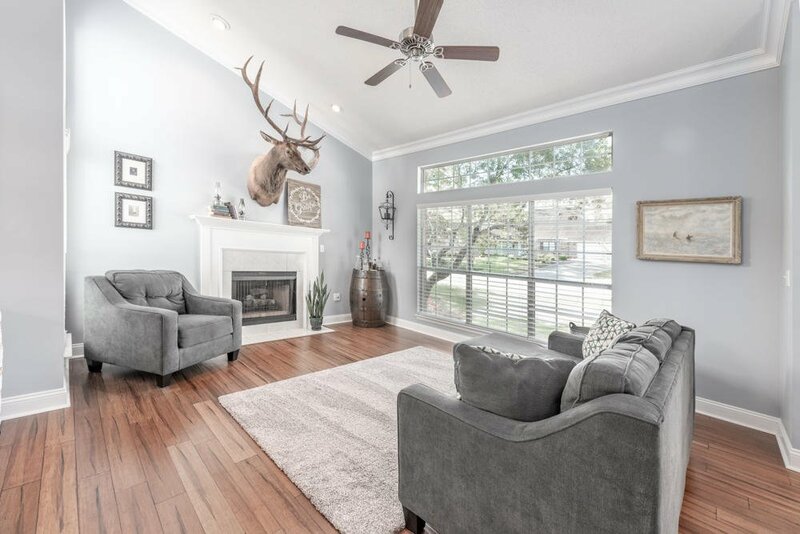 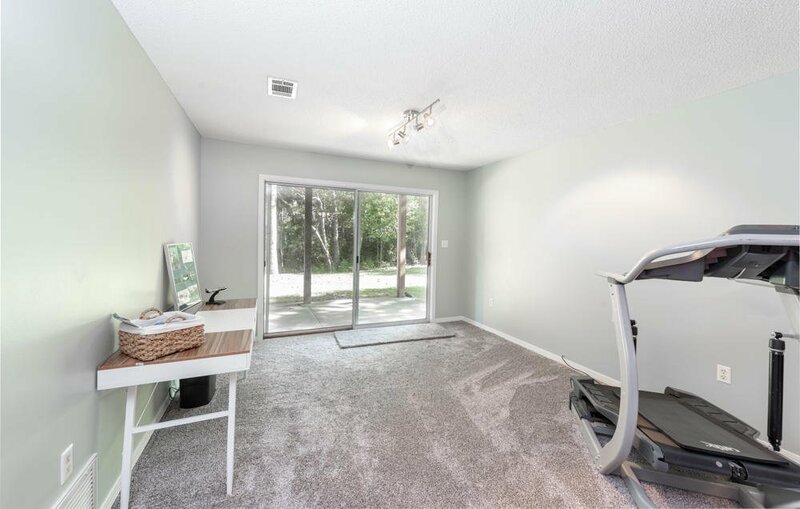 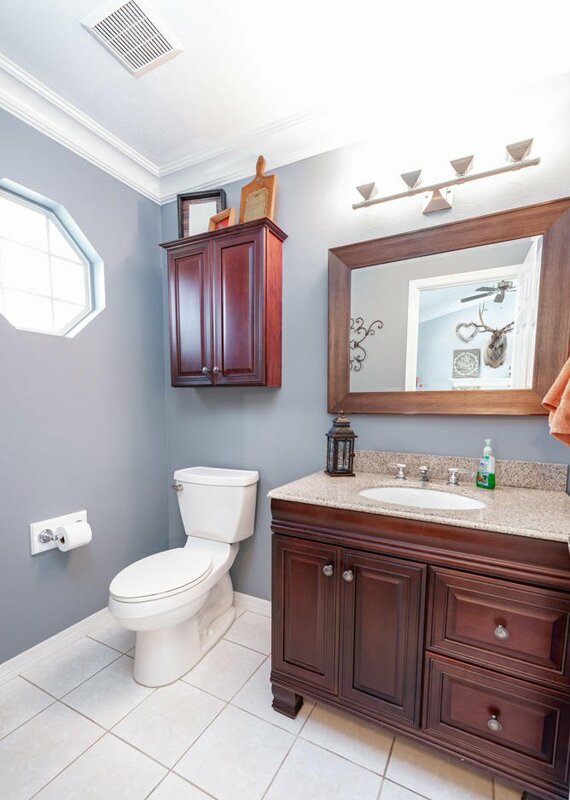 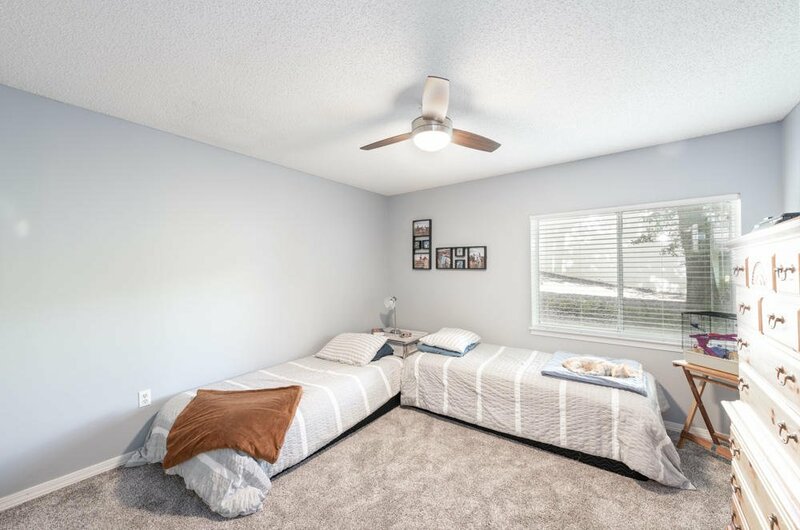 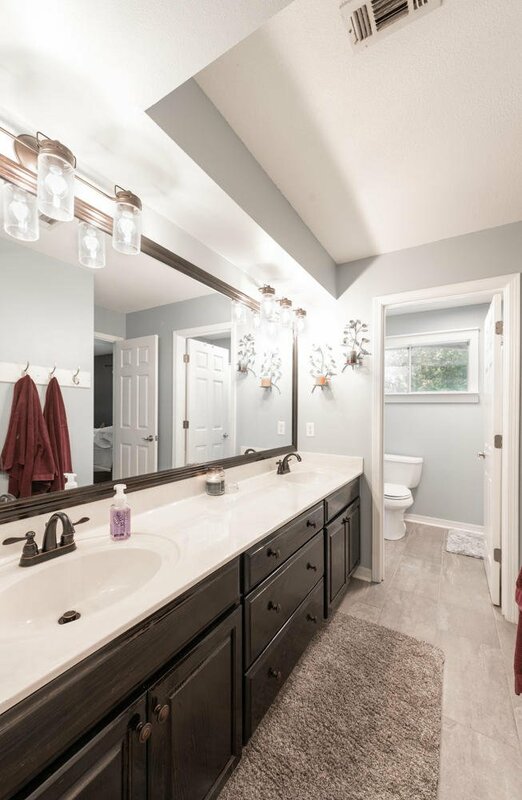 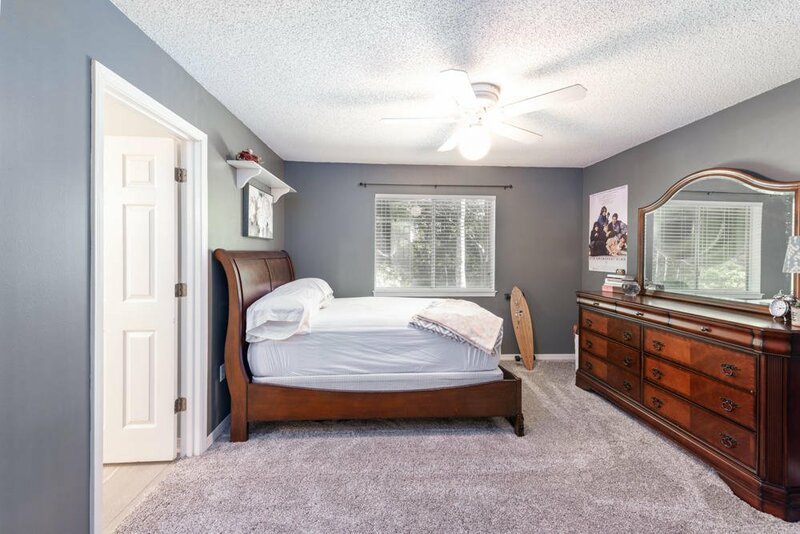 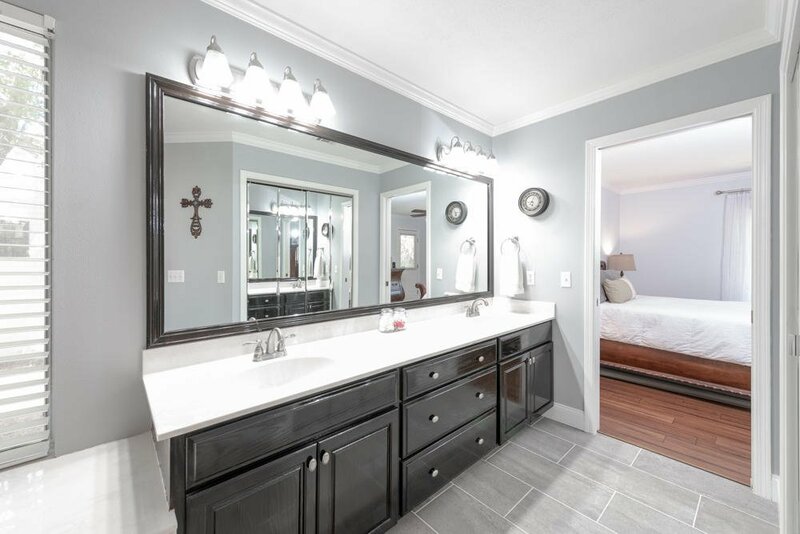 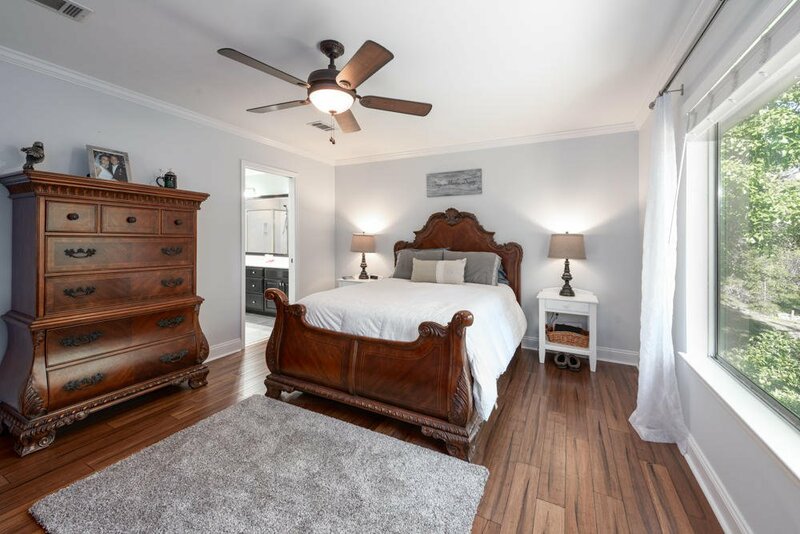 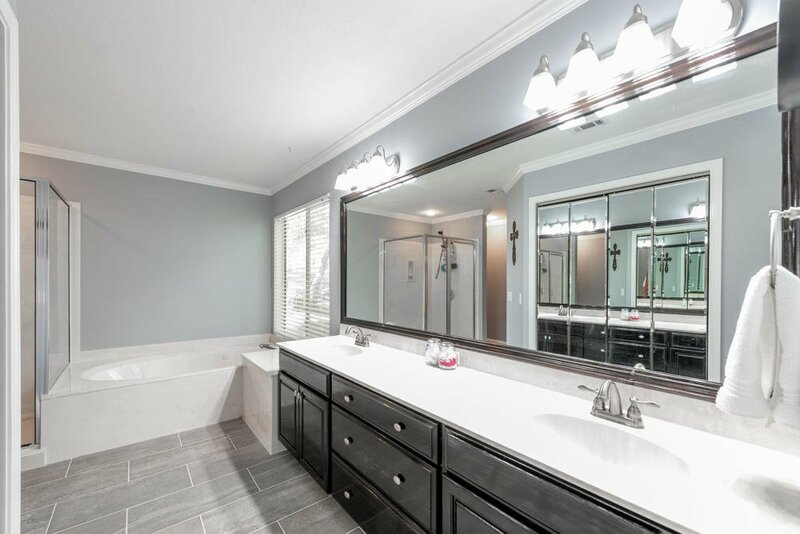 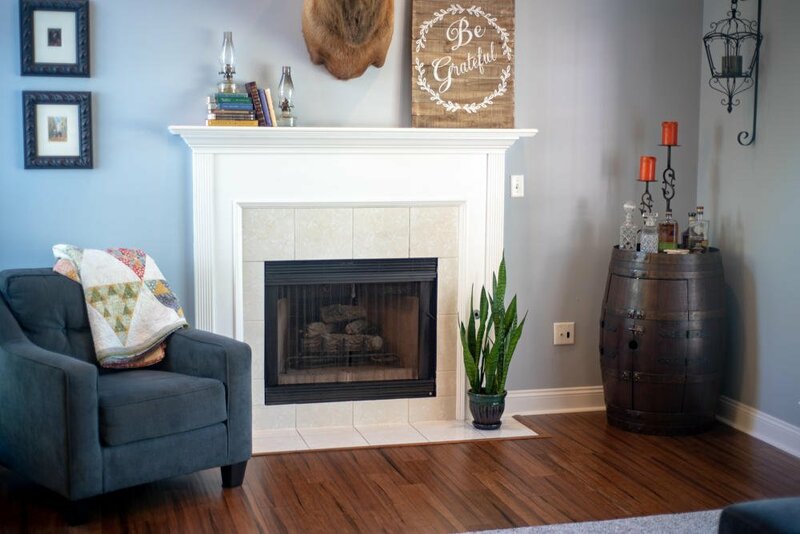 Back inside on the main level you will find a renovated half bath for your guests and just down from the reading nook is the master bedroom and private updated en suite. 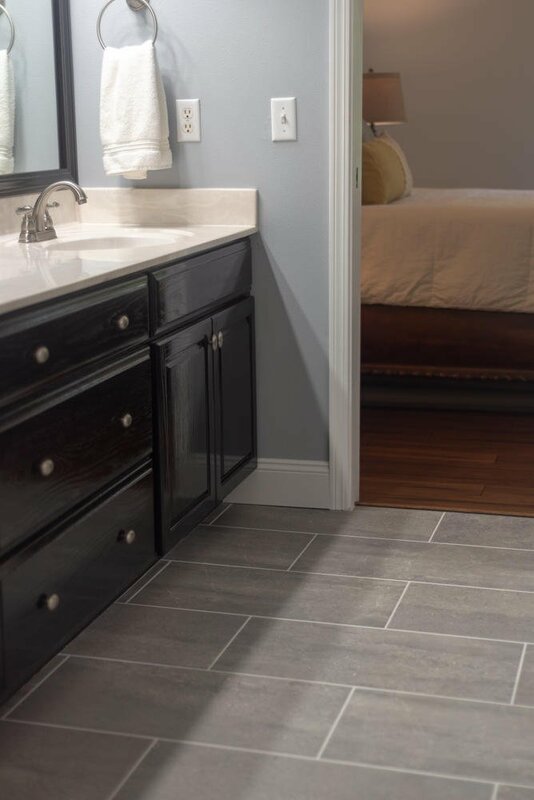 New tile flooring has been installed, painted cabinetry, new handles, new lighting and faucets. 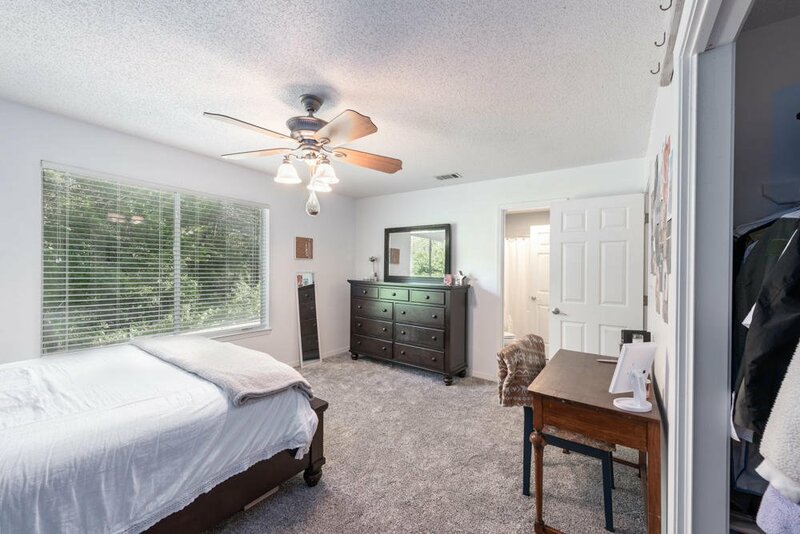 The closet is good sized, there is a soaking tub and the master walk-in shower enjoys a glass enclosure and private toilet. 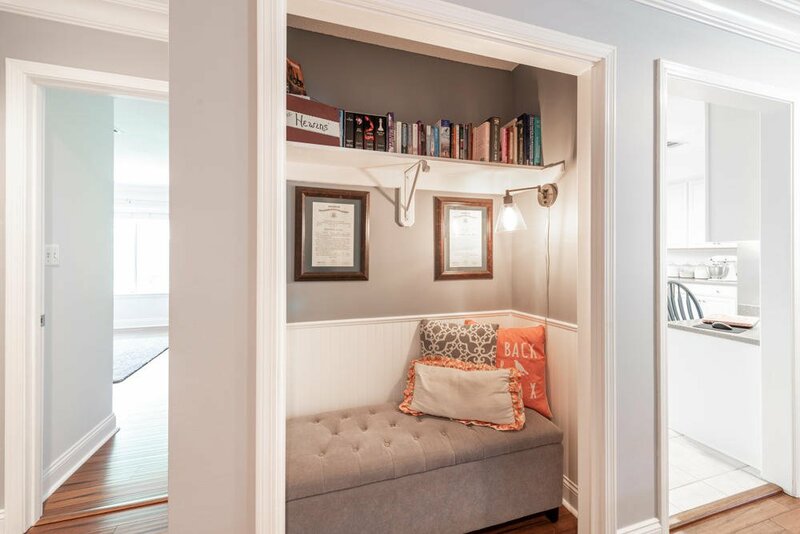 Downstairs is a fabulous den which could also be used as a game room, study, home school space, or even gym area. 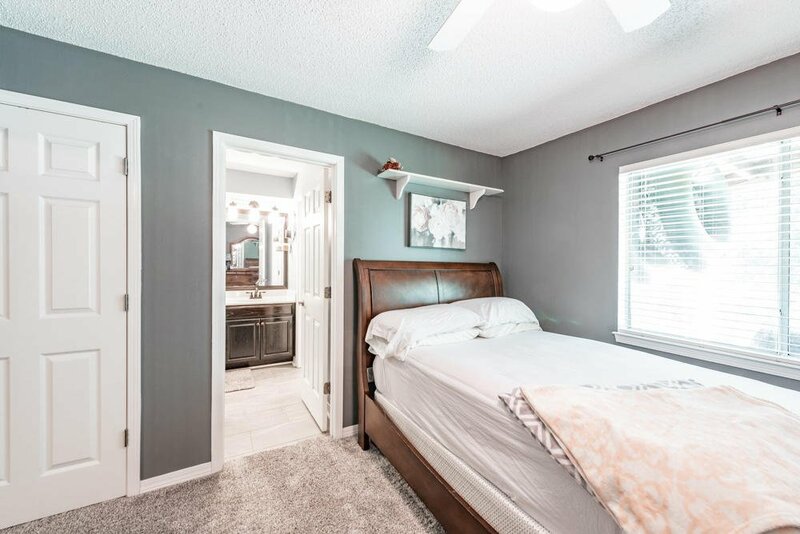 There are 3 large bedrooms and an updated bathroom with dual sinks, large mirror, new lighting, new tile flooring and tub/shower surround. 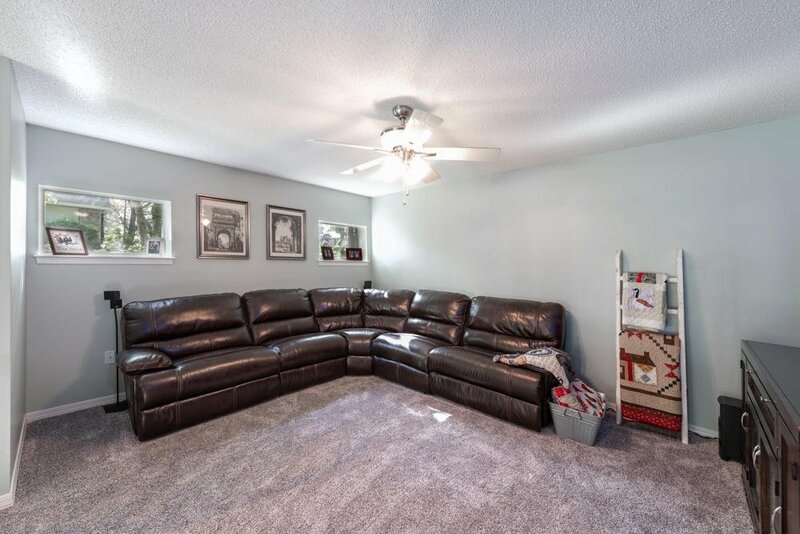 This home is sure to impress with: Gas appliances, whole house water filtration system, wood flooring throughout main level, new carpet downstairs, large closets, new crown molding, new baseboards, 2 laundry areas, most of the home does not have popcorn ceilings and there are pull down stairs for additional storage in the attic.